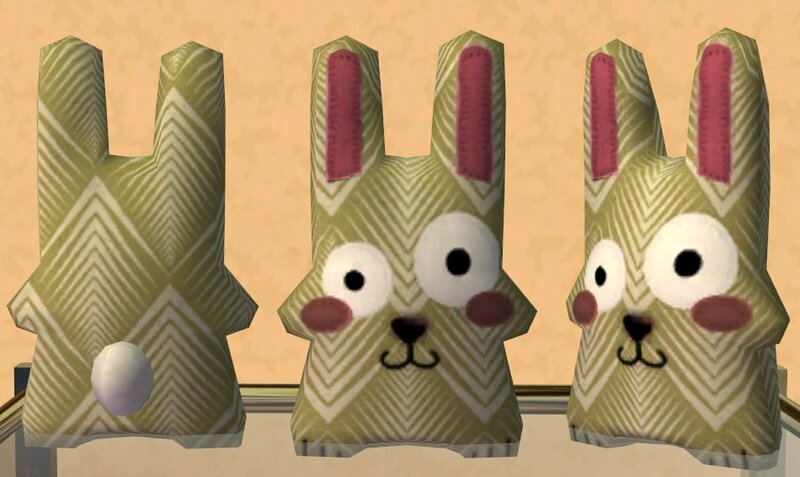 Attack of the Freezer Bunnies! 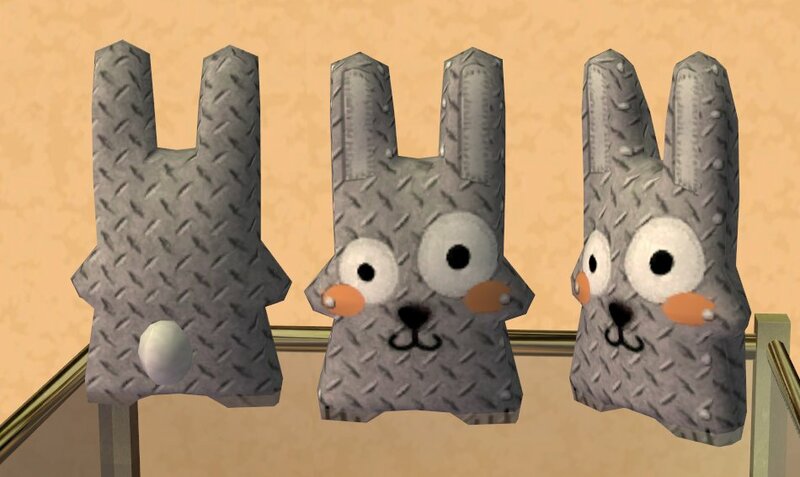 Freezer Bunnies. 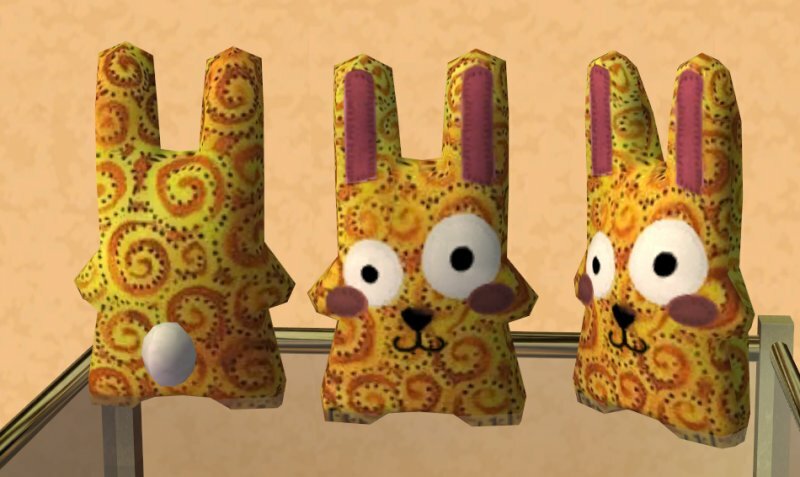 Popular in the Sims and throughout history of similisation! 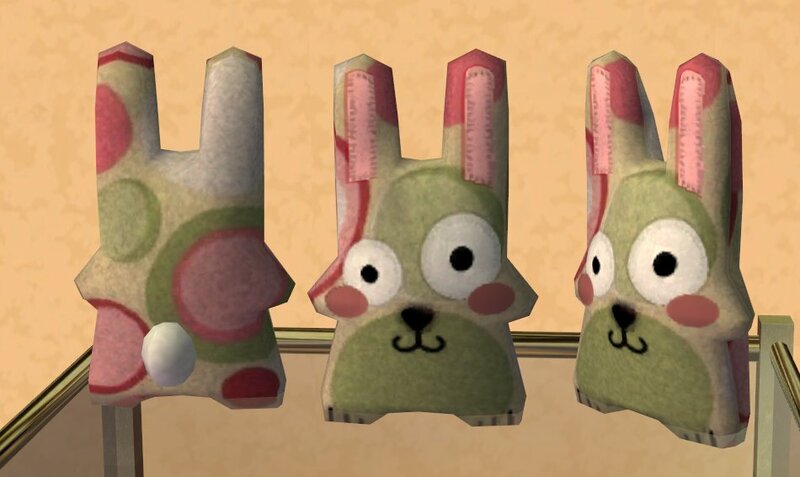 Altars were built to Freezer Bunnies, Thrones were made in shape of Freezer Bunnies, and of course - Freezer Bunnies are plushies too. 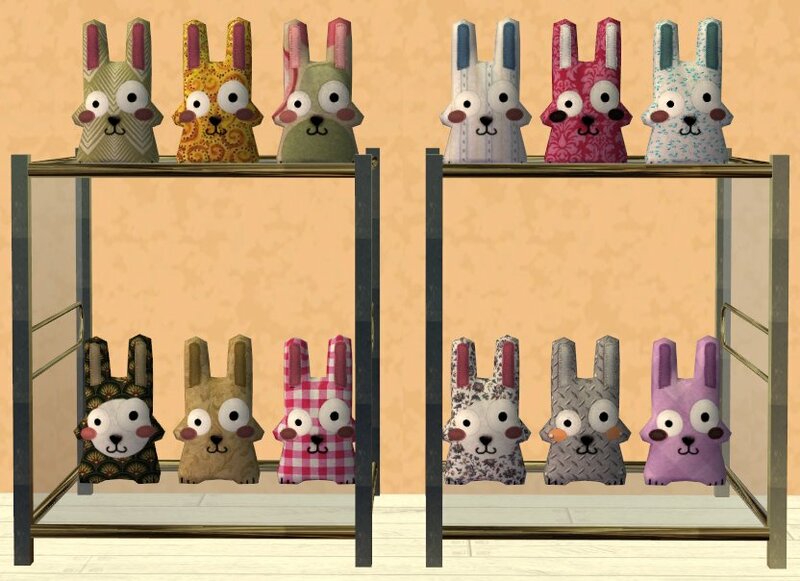 Now here come Freezer Bunnies - Next Generation  in fabrics from across the centuries - including Full Metal Bunny! 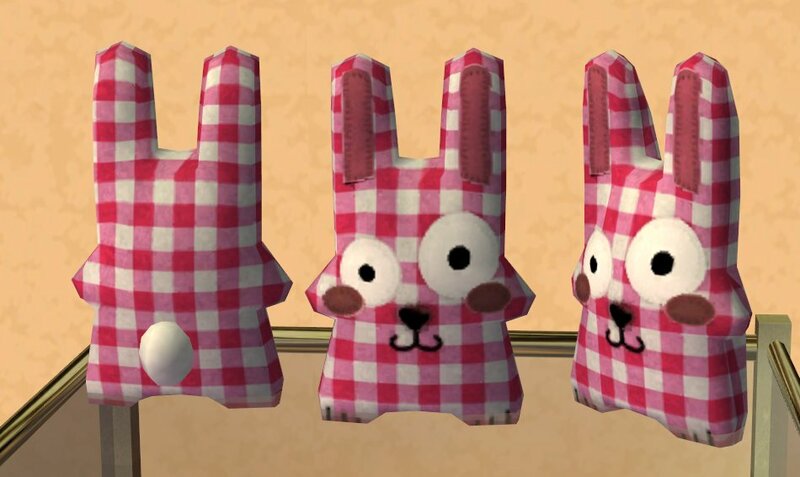 These are 12 recolours of Caon's Freezer Bunny which *I think* came with Mansions and Gardens expansion although it could have been Apartment Life. More pictures up on Tumblr. They are gorgeous, Kiri. Love the stitching details on the ears.